The treasured Italian painting "Annunciation" , by Leonardo da Vinci, will be exhibited for the first time in Japan. Models and videos based on Leonardo’s codices will also be on view - an innovative attempt to look into the mind of the genius. Based on the exhibition held at the Galleria della Uffizi in 2006. "Kyoto Gozan" indicates the leading temples of Zen Buddhism:including Nanzenji,Tenryuji, Shokokuji, Kenninji, Tofukuji, and Manjuji; ranked in accordance to the Chinese system. 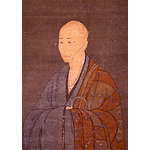 This exhibition features the flourish of Zen culture during the Kamakura through Muromachi period (13th - 16th centuries). 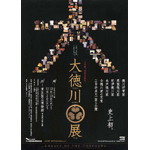 Features the treasures of the Tokugawa Shogun family and its three branch families. The exhibition attempts to introduce the essence of the culture of Edo warriors, through portraits and the military attire of the Edo Shoguns and works related to tea, together with gorgeous outfits and belongings of the high-class women. 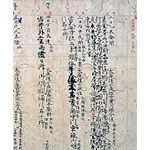 Yomei Bunko, housing approximately 200 thousand objects including 8 National Treasures and 59 Important Cultural Properties, is the treasury of the Konoe household, one of the most eminent of the court families. This exhibit will feature masterpieces from among the collection, as well as objects from other institutions formerly owned by the family. Photo: Mido Kampakuki (Diary of the courtier Fujiwara no Michinaga), By Fujiwara no Michinaga, Heian period, dated 1004 - 1007, National Treasure, Lent by Yomei Bunko Foundation, Kyoto.